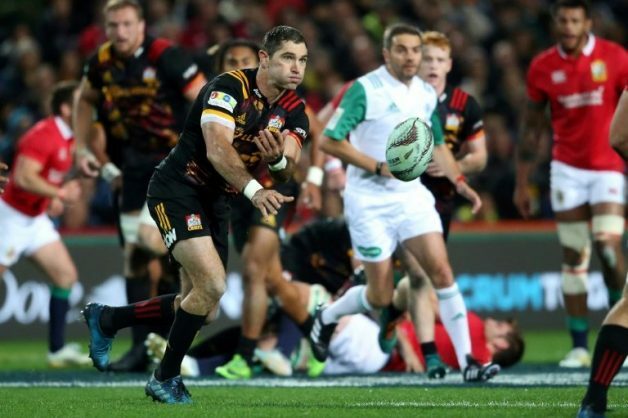 Fly-half Stephen Donald will return to Super Rugby at the grand old age of 35, more than seven years after he gained cult status by kicking New Zealand to victory in the 2011 World Cup final, the Waikato Chiefs announced Monday. “He is a good conductor of the game and will deliver for the team when provided the opportunity,” Cooper said of Donald, who was New Zealand’s fourth-choice fly-half in 2011 but became an unlikely hero. It was his last international and he went on to play with Bath in England before making a temporary return to the Chiefs, captaining them to a win over Warren Gatland’s touring Wales side in 2016. That honour belongs to tough-as-teak lock Brad Thorn, now coaching the Queensland Reds, who was still playing regularly for Otago Highlanders at 39.